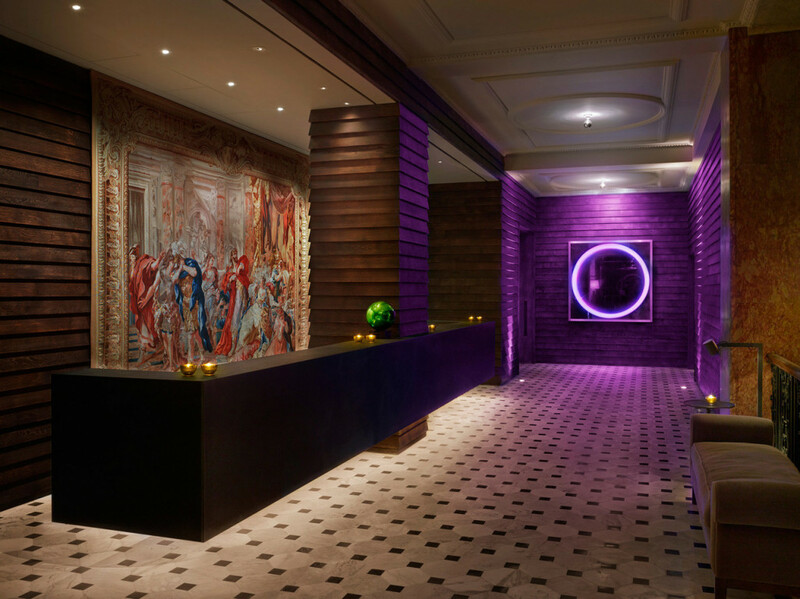 This limited “EDITION” hotel makes any celebration just that, so gather your favorite people for a night you'll never forget! 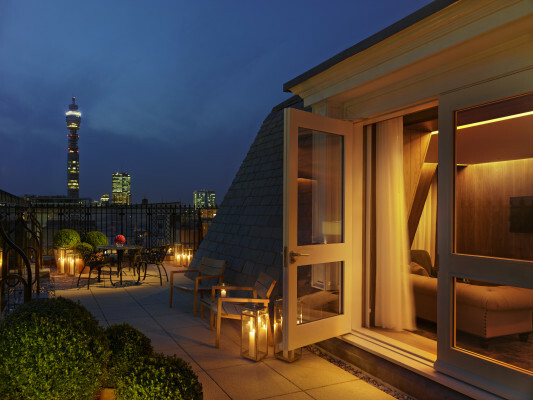 This five star luxury boutique hotel is situated on the edge of London’s Soho neighborhood and blends a combination of design elements that will leave you with your jaw to the floor. This chic spot features a variety of gathering spaces, including the “Basement,” which can only be described as pure awesomeness. 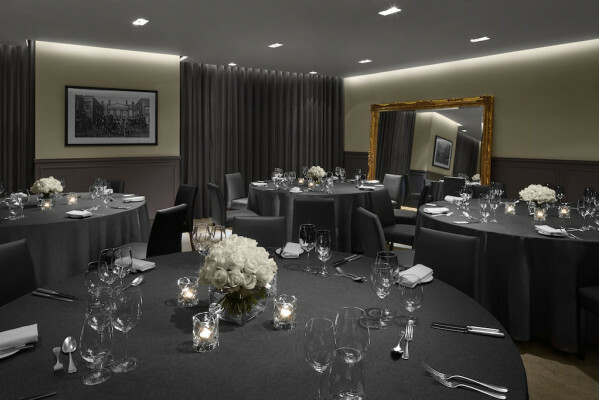 Host your next party in this eclectic room, where you’ll find a bar and lounge complete with club-like lighting and a state of the art sound system! 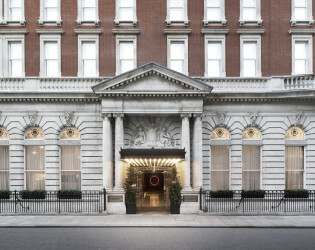 The London EDITION blends groundbreaking innovation, great design, outstanding dining and entertainment with personal, friendly, modern service. 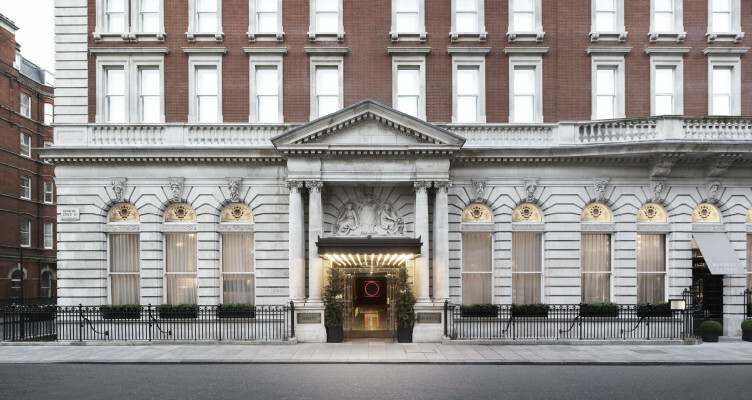 Located in Fitzrovia on the edge of London’s Soho neighborhood, this luxury boutique hotel preserves the finest aspects of an iconic landmark building, but reinvents the spaces within to create a dynamic fusion of old and new, past and present. A series of light-filled flexible meeting studios can accommodate a boardroom conference or more formal business gatherings including theater, classroom, reception and event spaces. 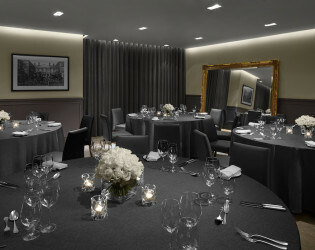 The London EDITION is an ideal venue for private events and conferences with menus by Berners Tavern. The five star hotel has 173 unique guest rooms and suites with oak floors and wood-panelled walls in either dark walnut or light oak creating an intimate, cabin-like feel akin to that of a private yacht. 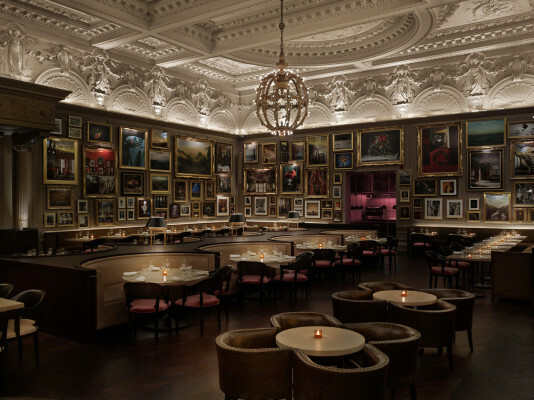 Evocative photography by Hendrik Kerstens in each room is a subtle nod to the notable art collection throughout the iconic Soho structure. 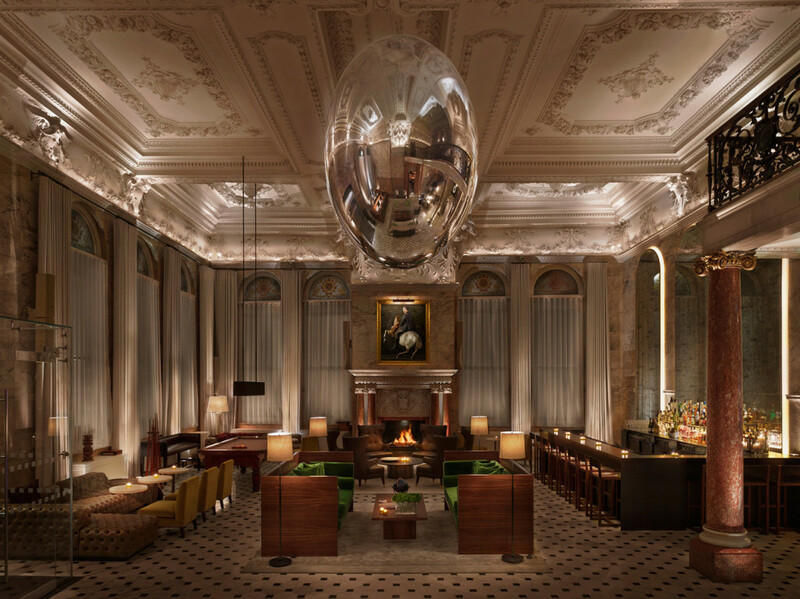 Sip on The London EDITION's signature cocktail, served in its iconic peacock glass observing the lobby in the reflection of the mirrored orb that hangs from the ceiling. Dine at The London EDITION's critically acclaimed restaurant, Berners Tavern where 211 specially-curated photographic portraits cover the walls. 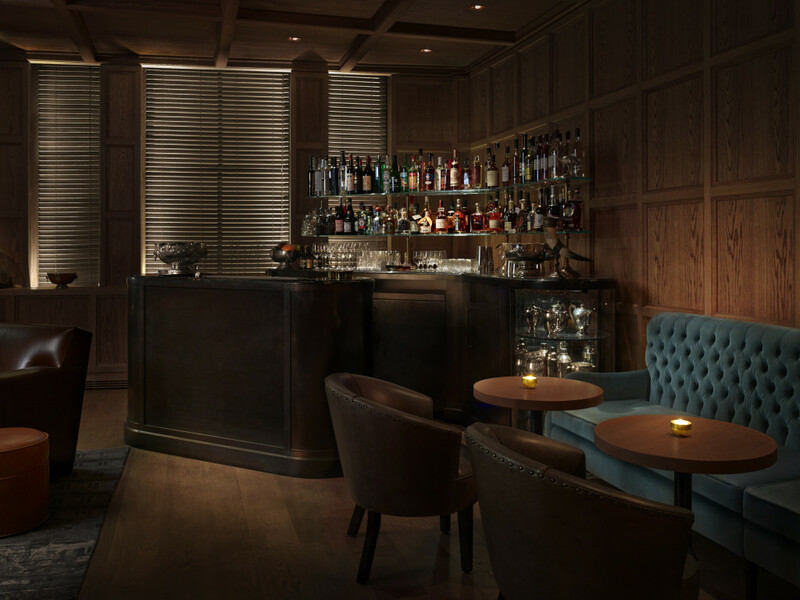 Concealed behind inconspicuous dark wooden doors, visit Punch room for an intimate aromatic bowl of punch in a nineteenth-century private member's club inspired space. This eclectic venue features custom lighting by Patrick Woodroffe, a full bar and state-of-the-art sound system, making it ideal for film screenings, fashion shows and product launches. 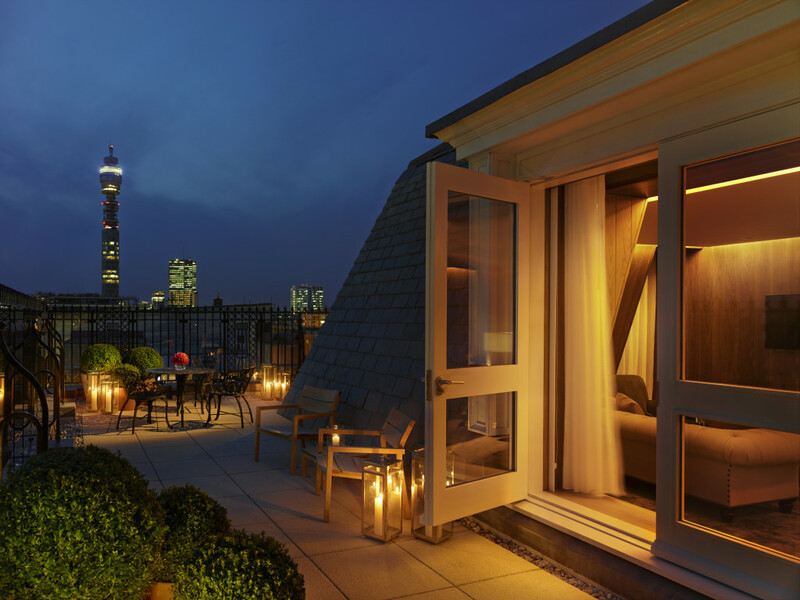 The custom furnished Penthouse with its expansive wraparound landscaped terrace and 360-degree views of London, forms a luxury apartment featuring its own private dining room, full kitchen and living room. 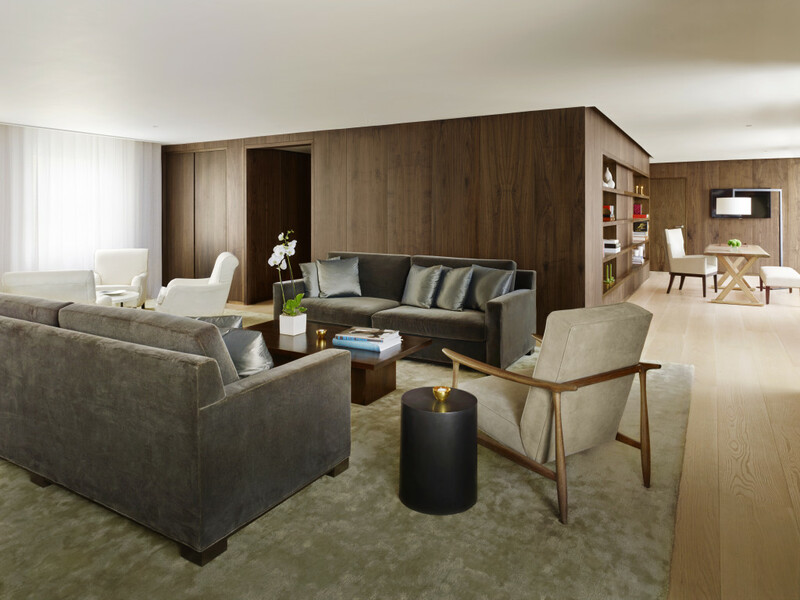 Ideal for welcoming guests or simply enjoying an expansive sense of privacy, the Penthouse offers a unique one-of-a-kind retreat. 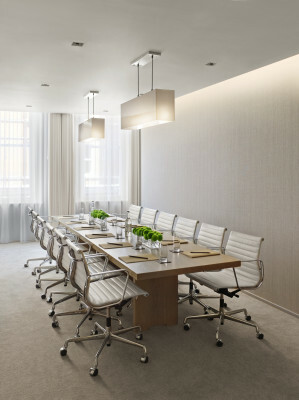 A boardroom set up, Studio 1 is perfect for meetings, private lunches and intimate dinners. Studio 2 is extremely versatile and can accommodate a variety of set-ups tailored specifically for each individual event. 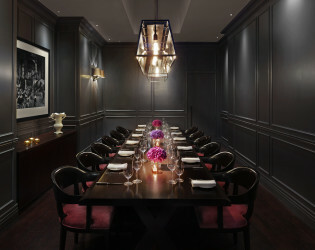 Located above Berners Tavern, the Private Dining Room is an intimate space, ideal for exclusive VIP dining and meetings. The modern, long dark walnut table with rose upholstered chairs sits under an original historic skylight with custom lighting. 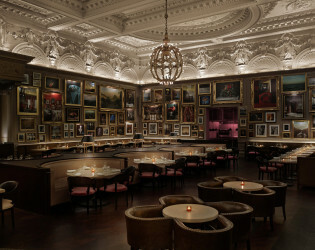 Embodying Ian Schrager’s ‘new kind of gathering place’, Soho’s Berners Tavern is among the most sought-after restaurant reservations in London. 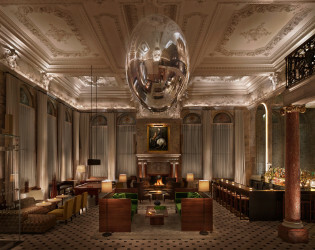 Under the direction of Michelin-starred Executive Chef Jason Atherton, this all-day dining destination offers seasonal, contemporary British cuisine in an inviting space that highlights its historic charm. 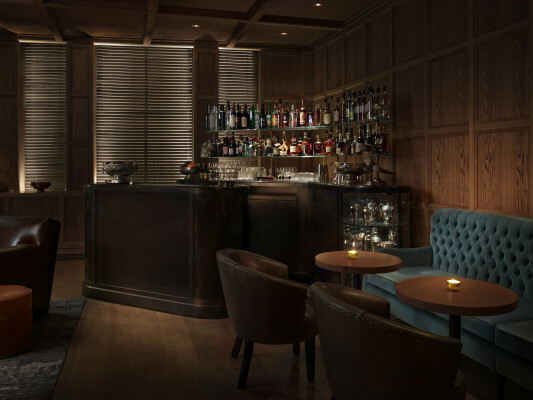 Nestled at the back of the hotel is the reservations only bar, Punch Room, a fumed-oak paneled den inspired by the comfort of manor house libraries and nineteenth-century London's private clubs, yet a modern reincarnation. As the name suggests, the craft cocktail focus is the Punch Bowl. For a single person or a group punch bowl, guests can order one of ten carefully crafted specialty punches including the gin infused EDITION Punch with jasmine tea and oak moss. Carefully curated music from vintage soul, Ragtime, and Doo-wop to Ska and Blues as well as impromptu musical performances complete the experience. Eclectic art and iconic British and European design elements intertwine at the Lobby Bar. 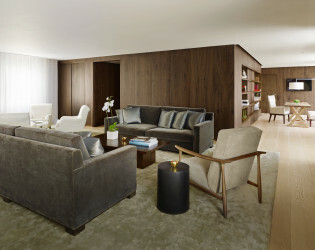 Conceived for both work and play, our twist on this traditional space offers complimentary Wi-Fi, a black-walnut communal table and Apple desktop computers, as well as intimate seating areas with tufted sofas and a snooker table. A stainless steel orb, designed by Ingo Maurer, allows a discreet glimpse of all the action. The cocktails at our Soho, London bar, from the signature Clearer Colada to the Rums ‘n’ Roses, were conceived by the talented Davide Segat. 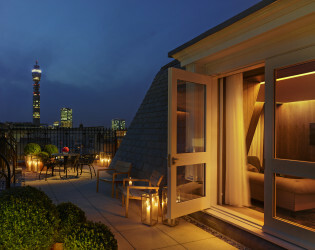 Located in Fitzrovia, just steps from Oxford Street, our hotel celebrates its historic setting. 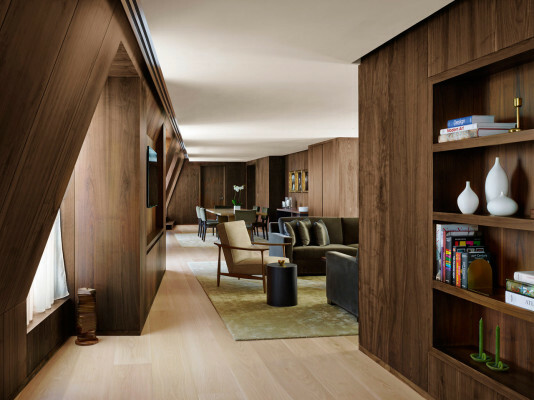 Multiple windows, a high ceiling and large seating area create a cozy, welcoming ambiance in our Loft suites. 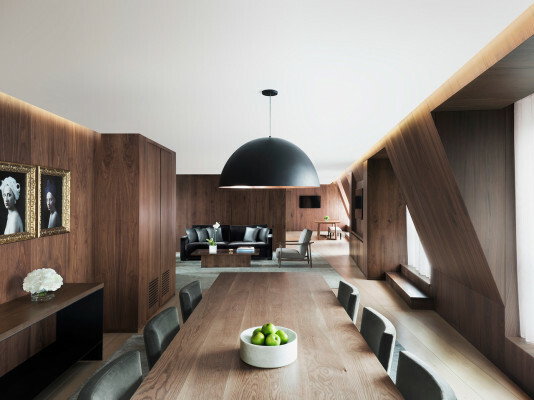 Dining room in the Penthouse. Simple lines make a dramatic impact in the Penthouse bedroom. 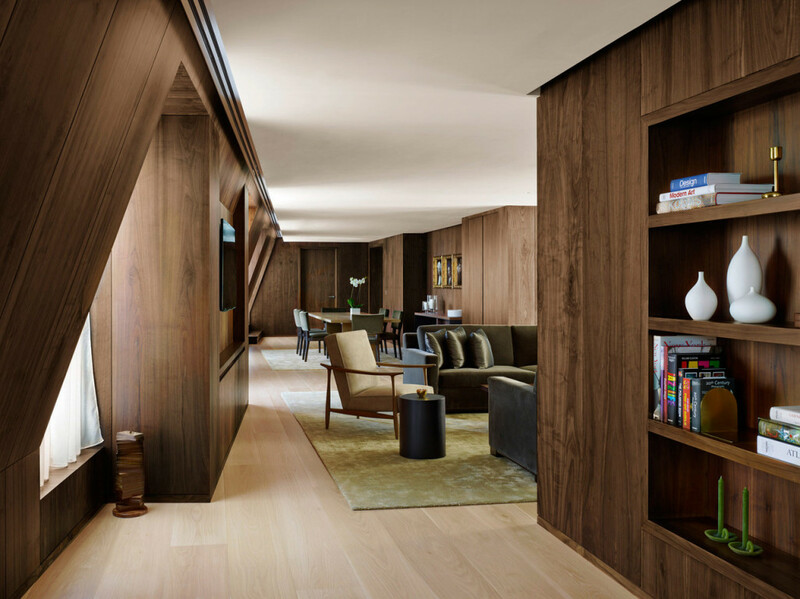 The Penthouse features separate living and dining areas, a pantry and library. 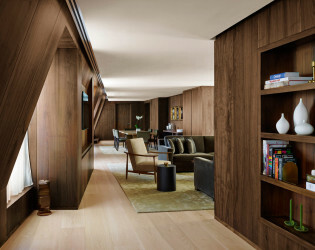 The Penthouse offers a spacious layout including a library. 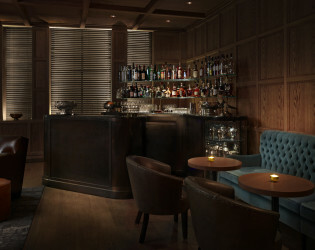 The Lobby and Lobby Bar invite you to cozy up to the fireplace, enjoy a friendly game of snooker or sample a bespoke cocktail. 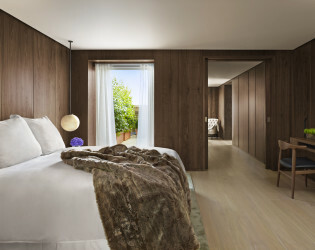 The bedroom of our Penthouse features natural light, a king bed and walk-in wardrobe. A custom reproduction of one of Louis XV's Gobeline tapestries from 1773 hangs at the front desk. Located above Berners Tavern, our Private Dining Room can host intimate meals for up to 14 guests. 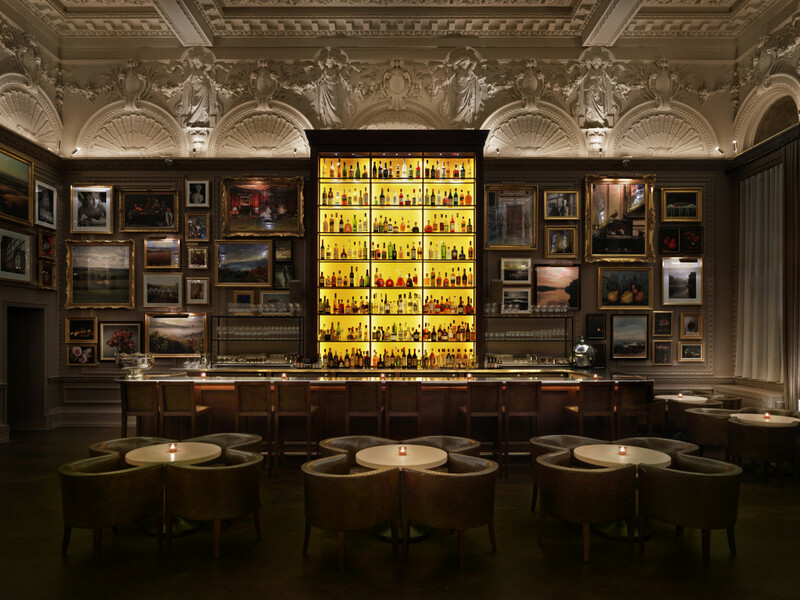 The bar at Jason Atherton's Berners Tavern. 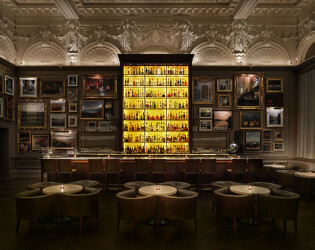 Michelin-starred Executive Chef Jason Atherton serves a menu of contemporary British cuisine using locally sourced, seasonal ingredients at Berners Tavern. Custom punches are served in silver bowls at Punch Room.